For better moisture infusion you should always use heat when you deep condition your hair. The heat makes the hair cuticle open wider, and this enables the deep conditioner to absorb better. Your hair reaps more benefits from your deep conditioner, when you use a heat source. The ideal heat source, is to use a hooded dryer or steamer. What does one do if you do not have a hooded dryer or steamer? If you have a handheld blow dryer, you can purchase a very inexpensive bonnet attachment. Once attached it works just as good as a hooded dryer.The bonnets only attach to certain types of blow dryers so be sure it will fit your blow dryer. These travel really well and are easy to set up. 1. Put deep conditioner in a bowl. 2. Boil some water in a pot. 3. 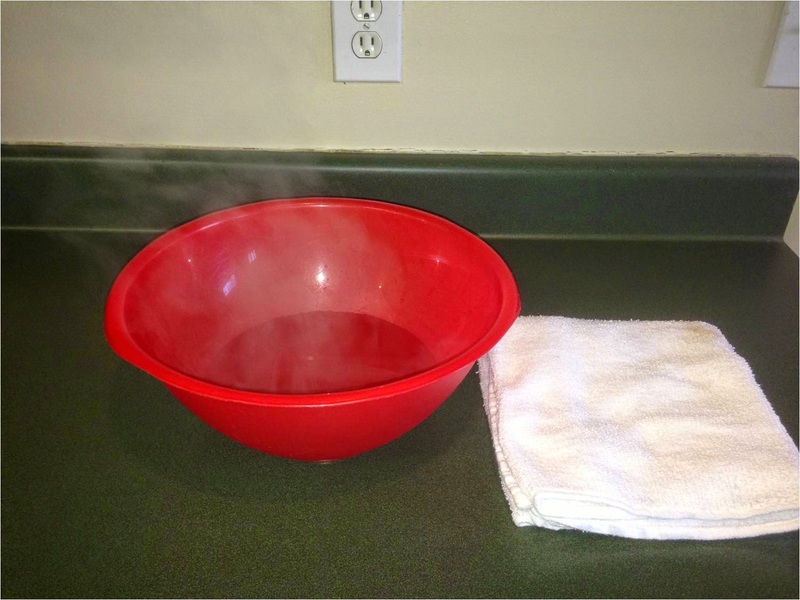 Remove from heat and sit bowl of conditioner inside hot water. 4. Cover with a top for five minutes. 5. Quickly apply conditioner onto hair while it is still warm. 6. Cover hair with a plastic cap, then cover cap with a towel. 7. Proceed with housework, exercise, errands any activity which generates heat. 8. Allow warm conditioner to marinate on your hair for 20 minutes, then rinse out with cool water. YOU WILL HAVE SOFT, LUSCIOUS HAIR! 2. Cover with a plastic cap. 3. Then cover cap with a hat or scarf. 4. Allow conditioner to sit on hair overnight. 5. Rinse out in morning with cool water. 6. Proceed with other treatments and styling. 1. Soak two bath cloths in hot water. 3. Apply deep conditioner and quickly cover hair with one hot towel, followed by a plastic conditioning cap. 4. Then apply second hot cloth on top of cap followed by a second conditioning cap. Wrap head in a topsie turby or a bath towel, for 20 minutes. 1. Boil water, pour into a big bowl. 2. Apply deep conditioner but DO NOT cover with a plastic cap. 3. Using a large bath towel, cover head and make a tent over the bowl. Make an effort to keep all steam inside towel and going on your hair. Sit up as much as you need. Hold hair over steam for 15 minutes. Be very careful not to burn yourself with hot water. This method is not for the clumsy. Each of the above methods help you condition your hair better. But remember a conditioning cap, hooded dryer or steamer is a good investment for coily hair care. Great article. Thank you for the advice. Will definetly try the steam method.